Ladies and gentleman, the bar cart bug has reached me. I like to think I was ahead of the curve as I have admired the bar cart in my grandparent’s home as long as I can remember. It’s most likely teak (all the furniture is mid-century modern and authentic…I always tell my grandpa how “in” his decor is, haha) and has two levels and a handle if I remember correctly. 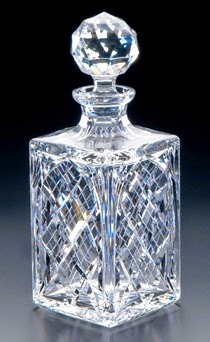 What always dazzled me was the assortment of cut crystal decanters not unlike the one below with their sparkling stoppers, magic looking liquids, and silver necklaces declaring the name of the contents. 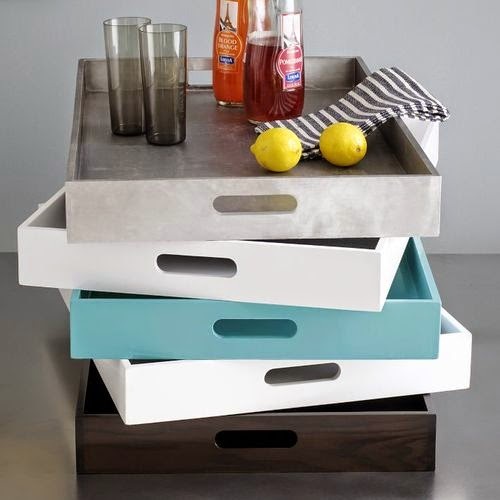 Or maybe a simple tray. I love the West Elm ones. 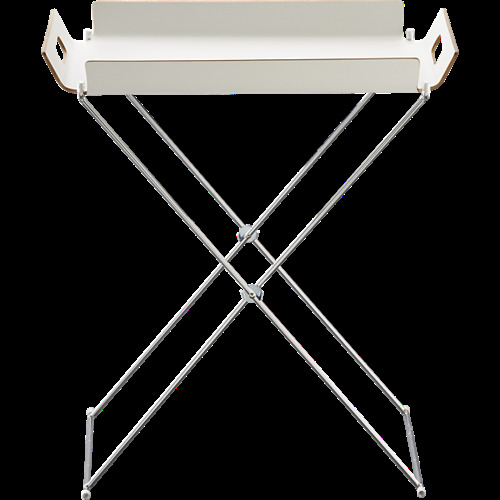 And of course I’ll use the handy Matchbook Magazine Bar Cart Essentials list. 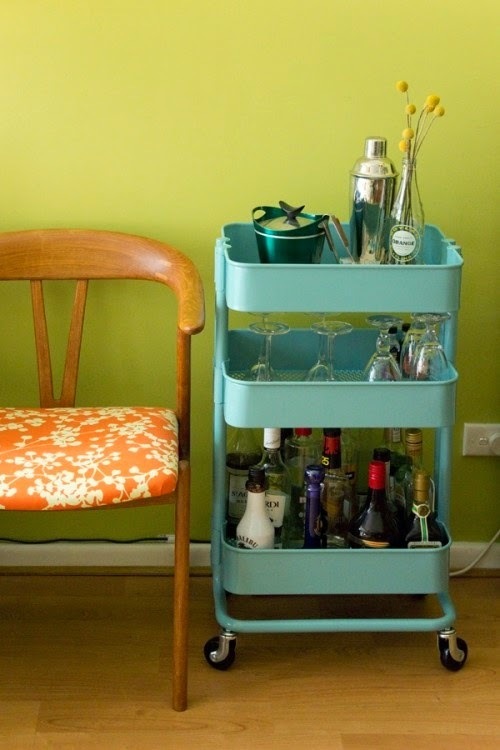 Do you have a bar cart? How and when do you use it? For more ideas and cocktail recipes, check out my Drinks and Bars Pinterest board!